This week for #TeenBlogSeries, I'm here to talk about two of my favourite makeup products to experiment with- foundation and brow products. I've been through countless bottles of foundation through my teen years; ranging from too pale, to too orange... too cakey to basically no coverage. Finally I can say that I've found two foundations which I am confident with and will be repurchasing. 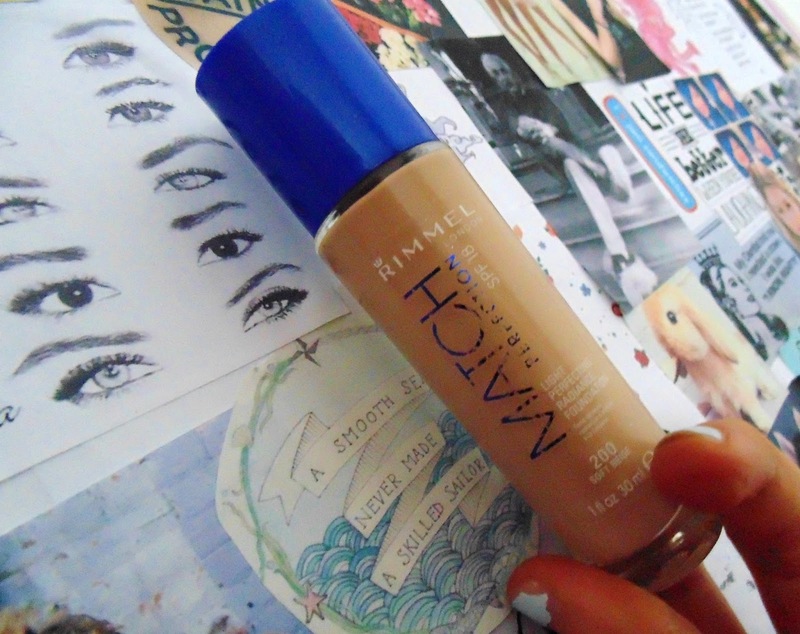 First up is my drugstore choice- Rimmel London Match Perfection foundation in 200, soft beige. At only £6.99 and available in 11 different shades, this foundation is perfect for any teenager! It is light- medium coverage but can be easily built up. It gives such a flawless finish when applied with a stippling brush. It is said to have light perfecting particles in it, which must be why it gives a nice dewy finish to the foundation, making me look healthier and glowing. I love foundations with dewy finishes as I suffer with dry skin on my face, so anything too mattifying makes my face look flaky- this foundation gets it just right with the dewy look, without looking oily. This foundation is great for school/ college as it looks natural and feels lightweight on the skin but still lasts pretty much all day. I couldn't praise this foundation enough! On the other hand, if you are looking to treat yourself with a higher end foundation I would recommend YSL's Fusion Ink Foundation. I've been using a sample of this foundation for a little while now and I am in love with it! It is lightweight, silky but with good coverage. Although the price is not something I love so much..! At £30.50, this foundation is generally not in a teenager's price range, it would be a luxury to buy anyway. I do love this foundation, but when you can buy a Rimmel London product that is just as good for under 1/4 of the price, its a no brainer really! Foundation is the base to every great makeup look, so I think its crucial to get it right. Moving onto brows- another pivotal part of any makeup look. It wasn't until the last year or so that I realised how much good eyebrows impacted a look; brows frame your face and make your look appear clean cut and finished. 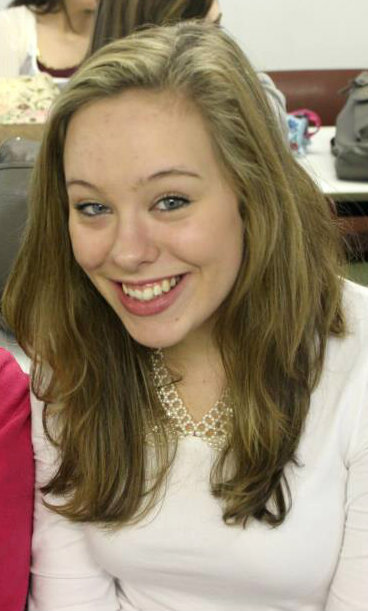 This is me back in 2012 when I used to really over- pluck my eyebrows. I used to pluck them from the top (a total no-no!) and kind of scarred my skin there. Luckily I realised what I was doing to my poor brows and went through a painfully slow process of letting them grow back to their naturally bushy selves. Fast forward to today and here are my natural brows- a lot better! I don't get them shaped in fear of a beautician making them super pointy or over the top which I don't like! So instead I just leave them to do their thang and use my curved tweezers to pluck random hairs now and again. I do however fill them in. Because my hair is so light, I find it difficult to find a colour that doesn't make my eyebrows look super dark against my tone. 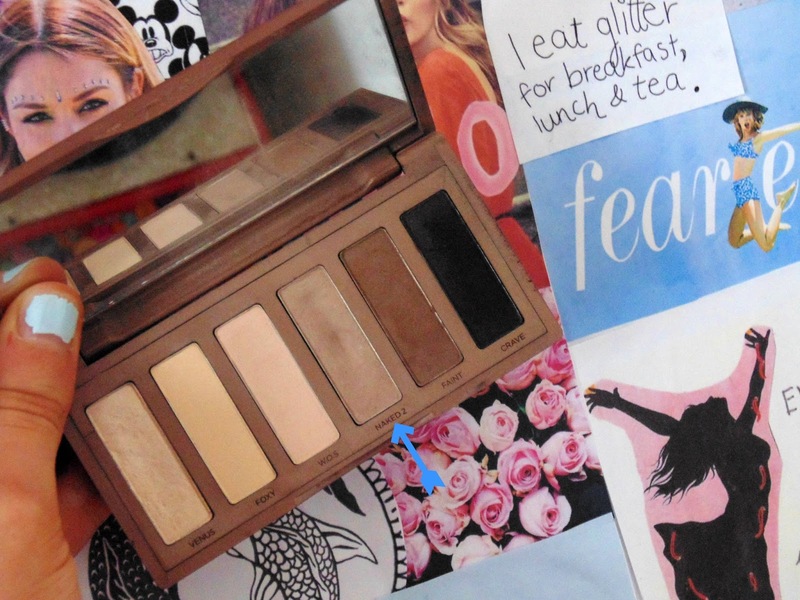 I use the colour 'Naked 2' from my Urban Decay Naked Basics Palette to fill in my brows lightly for added definition. I love this colour as it looks so natural- its part of my Basics palette which is handy as it is so versatile! Great post! I love the Rimmel foundation too, but I completely forgot about it! I tend to keep my brows natural too, I think it looks best that way! I loved your foundation tips. Also, your transformation from 2012 to now is so nice. You are so beautiful. I am going to try to find that foundation, hopefully they have it in New York.